Breathe new life into your bikini collection with this boho little number from our Bohemia range. 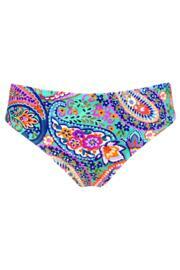 A great way to update your holiday look in an instant, these hippy chic bottoms are Pour Moi’s take on the paisley trend. 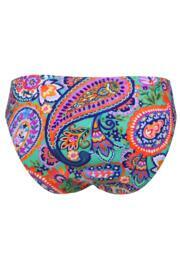 These little bikini briefs pack a colourful punch, and the bright oranges and zesty reds are sure to make the other poolside fashionistas green with envy. But they’ve got a great shape to them, too - a classic bikini brief that sits sleekly over the hips for a light look that still provides good coverage. Pair with a matching bikini top from the Bohemia range to keep things coordinated, or be a real free spirit by choosing a contrasting vibrant colour. Great fit and excellent quality. Lovely fit and great pattern.